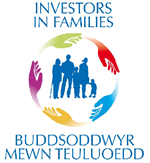 At the end of the Autumn term we were successful in gaining the Investors in Families award. We are very proud to have achieved this award which recognises the work that the school does with families in our school community. We strongly believe in the importance that families play in helping to shape and educate their children and how important it is that the school and home have positive relationships. There are seven Core Aims that the school have been and will continue to work on as part of this award. In order to gain the award we provided evidence showing the work that we do at Albany against the 7 core aims shown below. As part of the process the assessor met with staff, parents, governors, wider community members and pupils. We are delighted to have achieved the award and are committed to continuing the work we both in school and beyond to support our pupils and their families. Have a comprehensive range of education and lifelong opportunities. Enjoy the best possible health and free from abuse, victimisation and exploitation. Be listened to, treated with respect, and have their race and cultural identity recognised. Have a safe home and community which supports physical and emotional wellbeing. Not be disadvantaged by poverty.